This dj was included in our wedding package. We didn't know him personally and never got to talk to him. We communicated with him through Mariana, the venue coordinator. He did a great job playing the music we choose, making minimal but precise announcements and spinning for the after party. Didn't get to thank him in person. Thanks for the good job, DJ! WOW... Keith brought the HOUSE DOWN so hard we had to request an extra hour and my guests were still not ready to leave the dance floor. I totally expected the group of 200 people at my function to be party poopers but with the way Keith was spinning no one could sit down. You do not even need a playlist, just let him do his thing. GREAT JOB! We will be contacting you for all our parties and events for sure! The lighting was awesome and setup was easy! Great guy! Kizra made our special day memorable. The best wedding DJ in Houston. 100 stars! DJ Kizra is the best. Can't recommend him highly enough. If you want a good DJ he's the one. Keith was the best DJ for us. We could not have asked for a better DJ for our wedding. "Keith was an excellent DJ. We had a church fundraising event. He showed up on time, the guests have fun, the teenagers loved him, and he helped us raise money for our mission trips. I would recommend him to anyone hosting an event." Best party dj I have ever had!! ?? I would recommend him to anyone super nice and knowledgeable also has a wide variety of music from bounce to cumbias! "I'm so glad we hired Keith to DJ our wedding reception in Houston! He was prompt, professional and easy to work with. We asked for a blend of traditional wedding ballads, upbeat dance music and Spanish songs, and were so pleased with what he came up with. Several guests approached us afterwards to compliment the quality of his work." DJ Kizra was wonderful. He can accommodate pretty much any type of theme you are going for. Keith has a wonderful personality that can captivate any audience and his professionalism and love for his music is unparalleled. 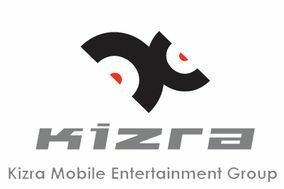 I definitely recommend DJ Kizra for any event you have, whether it is a wedding , birthday or business event. This DJ was very professional and upbeat. He kept our guests entertained the entire night. He did such an awesome job for our wedding, very professional and music was exactly what we liked! I was thankful for the professionalism and the responsiveness of DJ Kizra (Keith). He played requests and he played our requested playlist. Whenever we asked for anything from him, he graciously and quickly took care of it. He was friendly. I really enjoyed DJ Kizra and his services.